The autumn has started and the resumption of work schedule and a colder weather has brought several pleasant surprises. In fact, I'll be back after the long summer break with an editorial that I wanted to propose for some time, but the indefinite suspension of the title forced me to postpone until its revival occurred in these weeks. 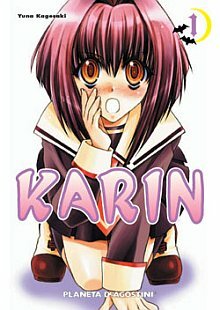 So here we are talking about Karin, a vampire really very special. Lovers of the horror genre will disapprove a little in front of this highly original story far away from the standards of style. Karin Maaka is a vampire "different" because instead of sucking the blood from her victims she has the characteristic of producing it in excess and then be forced to inject it to anyone, under pain of a severe hemorrhage from the nose! Moreover, unlike the brothers and parents, she has no problem exposing themselves to sunlight. In all this it will be to mix romance with Kenta Usui, a classmate of Karin unaware of her true identity. The difference between their races will be a source of conflict and embarrassment for the girl in an attempt to hide the truth to him and his friends. 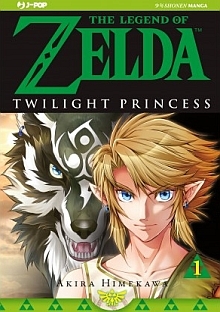 Started in 2003, the manga ended in 2008 with 14 published novels and 9 volumes assets just after the release of the first volume. 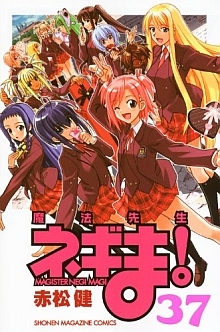 In 2005, thanks to its success in Japan, is been produced a television series of 24 episodes by Geneon Entertainment unfortunately not yet arrived in Italy, which covers events up to the tenth volume about leaving an open ending. The story is very gripping and entertaining primarily to the classical school comedy where love triangles are interlaced and accidents of all kinds. 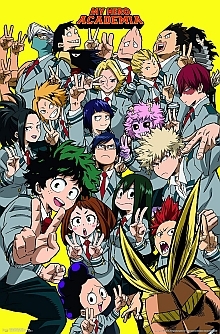 The fan service is not so excessive and the author shows to be able to keep alive the attention thanks to a strong plot without having to resort to different tricks. The stretch of Kagesaki Yuna is really among the best around. The details of his designs are really balanced and extremely high bill so as not to tire the reader or make too stylized characters. A title that i suggest to read, original and very exciting.